This solution is designed to address the very specific needs of independent agents and agencies. SmartOffice Enterprise provides the proven scalability, data security, and customization capabilities required by even the largest financial services organizations. Available in a flexible, fully hosted web environment or on your own server, SmartOffice Enterprise delivers features to support every aspect of financial services distribution. From contact and agency management to wholesaling and management reporting, SmartOffice integrates enterprise business processes to drive more profitable client relationships, reduce operational expenses, and grow revenue. SmartOffice Enterprise Edition delivers the features, framework, training, and support you need to ensure the success of your CRM initiative – regardless of the size of your business. 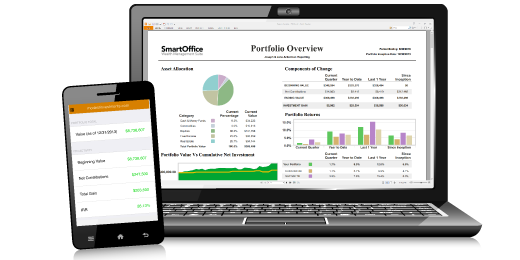 Trusted by today’s leading financial services organizations, SmartOffice offers a full range of valuable, industry-focused features and capabilities that deliver tangible, measurable results. SmartIntegrator allows your IT professionals to integrate other systems with SmartOffice with relative ease. This open API makes the heart of the SmartOffice system available for customized integration with your in-house or other third-party systems. DataXchange™ Enterprise provides proven, robust back-end data movement around the SmartOffice system. SmartMonitor is an external application that provides visibility into system usage and process reporting. The technology that supports your CRM solution is critical to ensuring that your users remain happy with the system for the life of the project. SmartOffice is built from the ground up in a J2EE open architecture environment to help provide your agents with anytime, anywhere access to the vital information they need to deliver the best possible service to their clients. SmartOffice can be installed in your own environment or as an online, on-demand solution managed in our world-class hosting facility. Both options provide the high levels of security needed to ensure compliance and the safety of your clients’ data. The fully hosted option helps speed implementation time and eliminates hardware costs. No matter which option you decide is best for your business, you will gain the advantages of SmartOffice’s out-of-the-box functionality – the key to minimizing customization costs and speeding your time to benefit. SmartOffice SmartStart – an integrated training/implementation approach designed to get Agents up and running on the system quickly and effectively. On-demand Online Training Library – provides the many of the benefits of live, instructor-led training without the cost of a personalized session. Instructor-Led Online Training – a hybrid solution that provides a tailored, interactive training experience using distance-learning tools. Instructor-Led On-site Training – customized training programs from our professional instructors are delivered at your site, and address the features most important to your firm. Ebix CRM offers Business Consulting services offered by a team of highly experienced industry specialists trained to help you identify the deliver an approach to achieve your unique business goals. Our team can work with you to set a clear direction, identify effective processes, implement an appropriate infrastructure and technologies, and ensure solution adoption.